Slice crust off of bread. Use a rolling pin or your hands to flatten the bread. Place a sausage link on the front edge of the bread and roll up tightly like a taquito. To a shallow dish add the eggs, milk, sugar, cinnamon, vanilla, and flour. 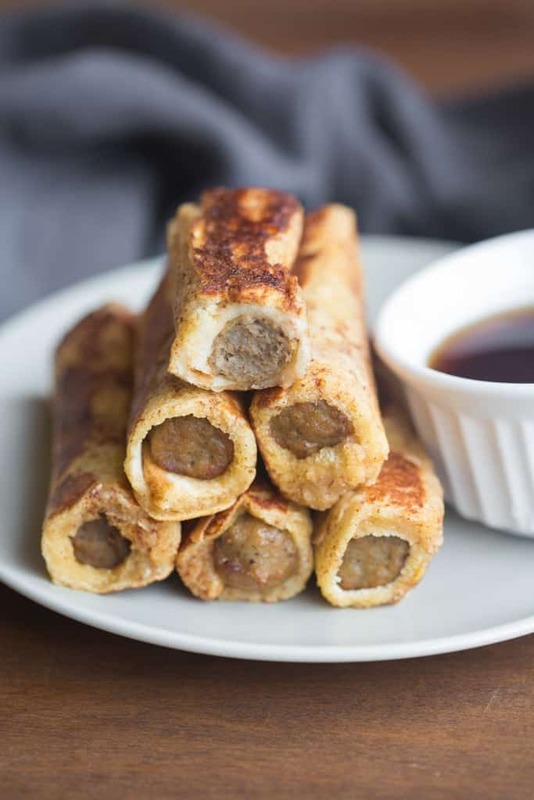 Dip sausage roll ups into the egg mixture, rolling gently to coat all sides, and place on hot griddle. Cook for a few minutes, turning gently as you go, until golden brown on all sides. Serve warm, served with syrup. 0 Response to "FRENCH TOAST SAUSAGE ROLL-UPS"